Step 1: See the Linux Install Guide from [email protected], remembering to set up your identity and team. Step 1: See the OSX Install Guide from [email protected], remembering to set up your identity and team. 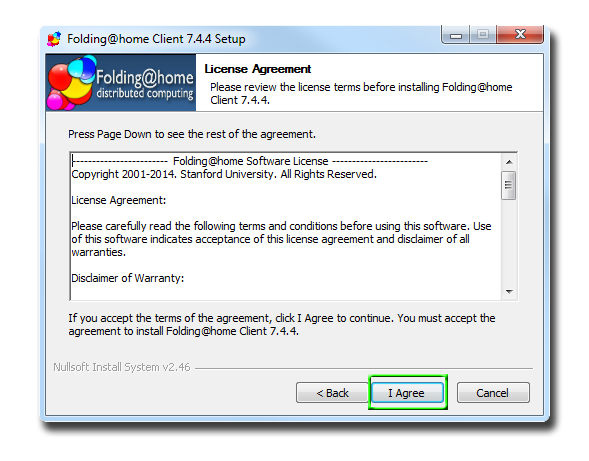 Head over to folding.stanford.edu/start-folding/ and download the Windows installer. 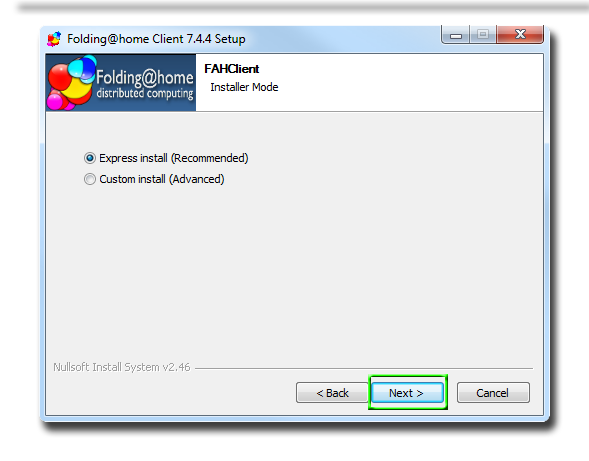 Click on the “fah-installer_7.4.4_x86.exe” to download the [email protected] installer. 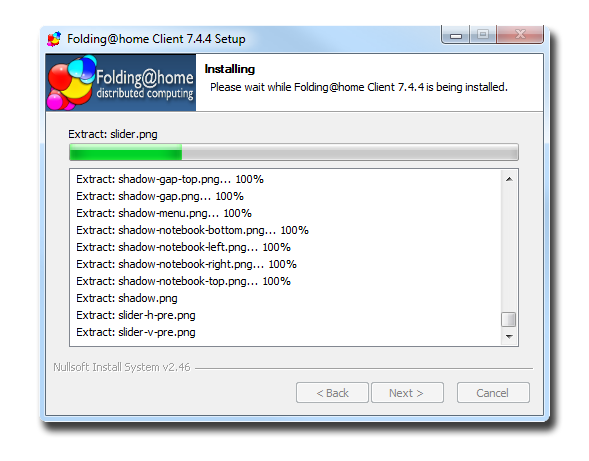 After downloading, start the executable either by clicking on the download or by browsing to your Downloads folder. 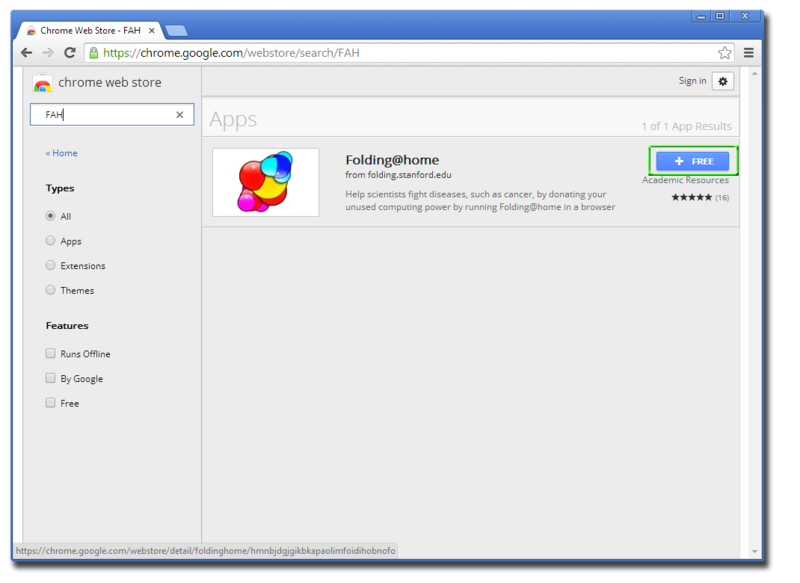 For Chrome, the download will show up at the bottom left corner of the window. For Firefox, the download will appear under the ‘Downloads’ button at the top right of the window. 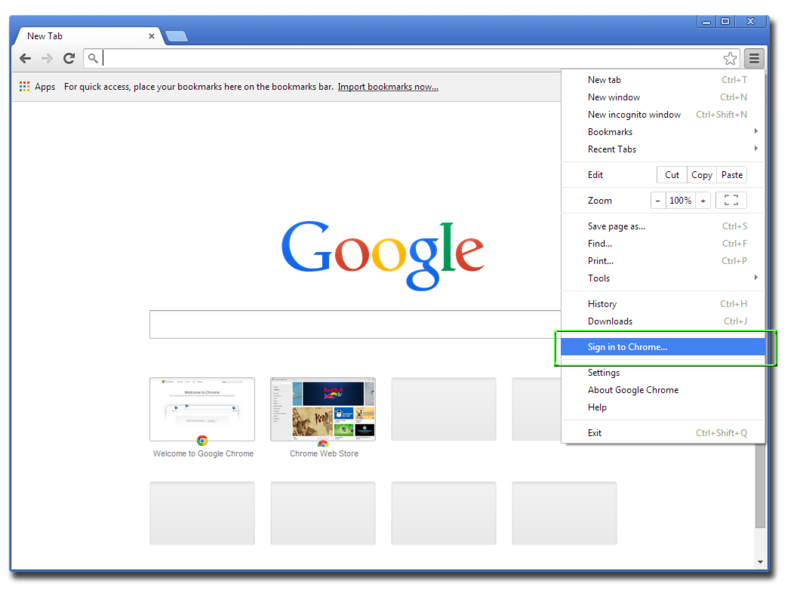 In Internet Explorer, you will receive an action prompt, click on run. The installer will then open. Click through the prompts, choosing the “Express Install” option. After clicking “Finish” on the installer, a webpage will open, prompting you for account setup. 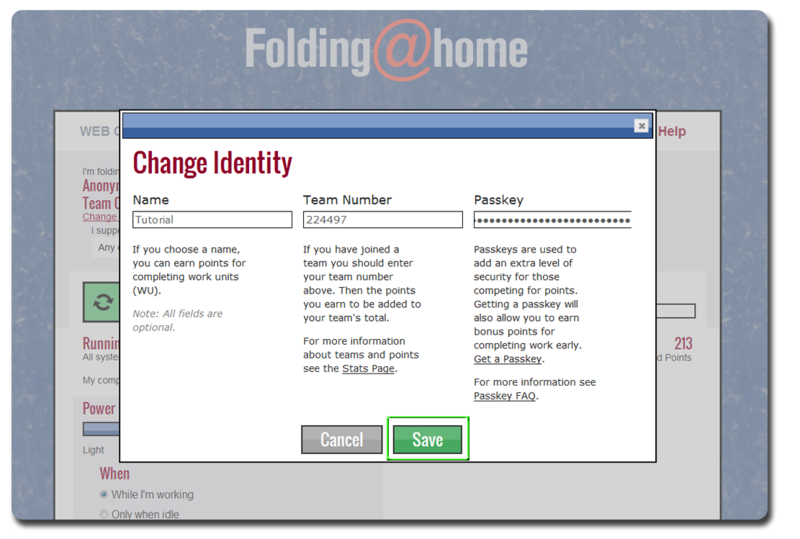 Click on “Set up an identity”, and then the “Start Folding” button. 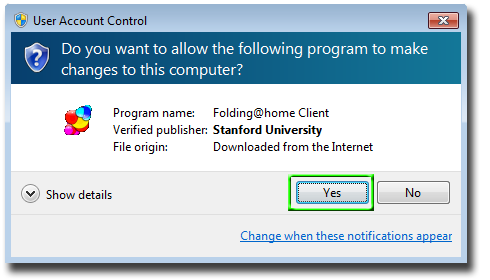 At this point, open a new tab (Control + t) or a new window (Control + n), and browse to: http://fah-web.stanford.edu/cgi-bin/getpasskey.py. Enter your desired username, and your email address. Then, click on the ‘Get Passkey’ button. Check your email, and double-check that the username is spelled (including capitalization) exactly as you want it. Copy the passkey from the email (highlight the entire passkey, which should be 32 characters long, and press Control + c). 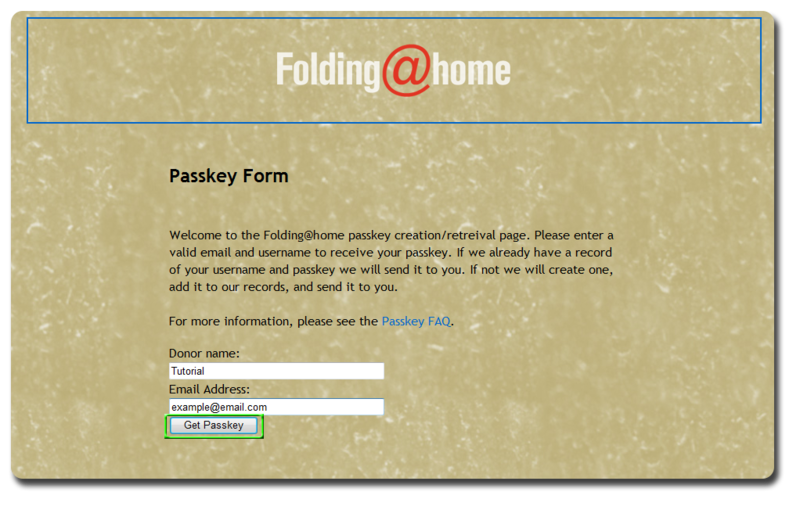 Then, navigate back to the [email protected] configuration page (which popped up after installation) and fill out your username (exactly as shown in the email), “224497” for the team number, and then paste your passkey into the passkey box. Click “Save”. If your machine has both a CPU and one or more GPUs, they should all show on this page. 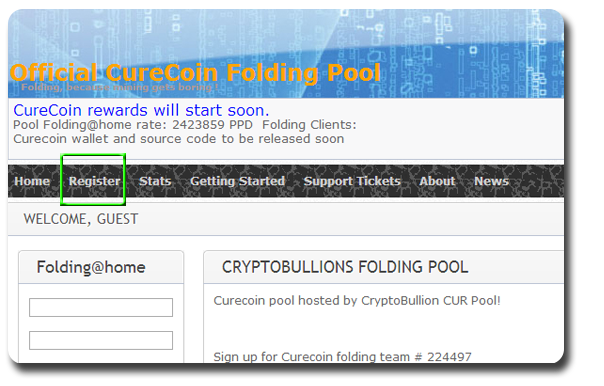 If you are happy with how the folding is performing and do not wish to do any additional tweaks, you can scroll down to the section “Pool Setup”. 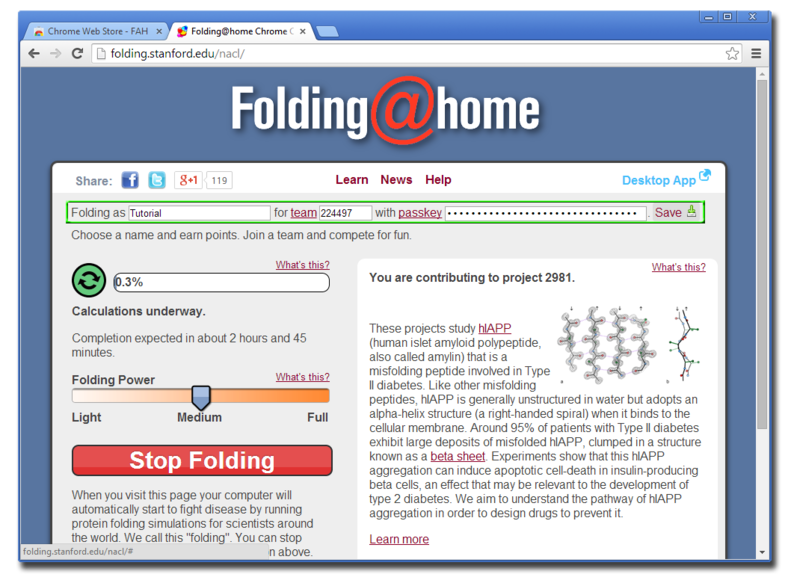 Please remember that, to access this folding control application in the future, you can navigate to http://folding.stanford.edu/client/. 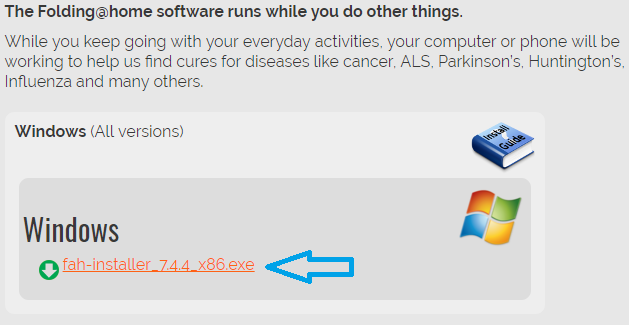 If you wish to use your computer for processor-intensive applications (such as gaming, rendering videos, etc. 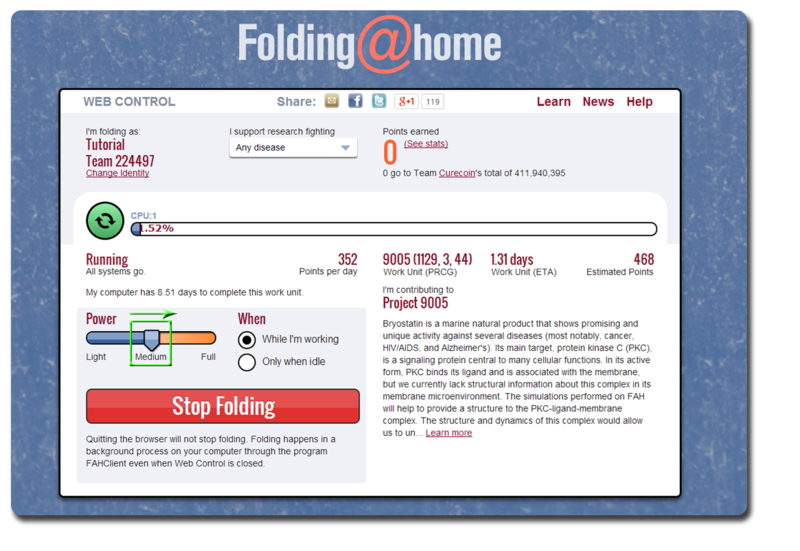 ), you can click on the “Stop Folding” button in the web control panel to stop folding. 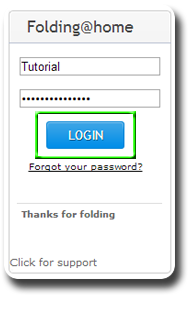 Later, you can click on “Start Folding” to resume where you left off. 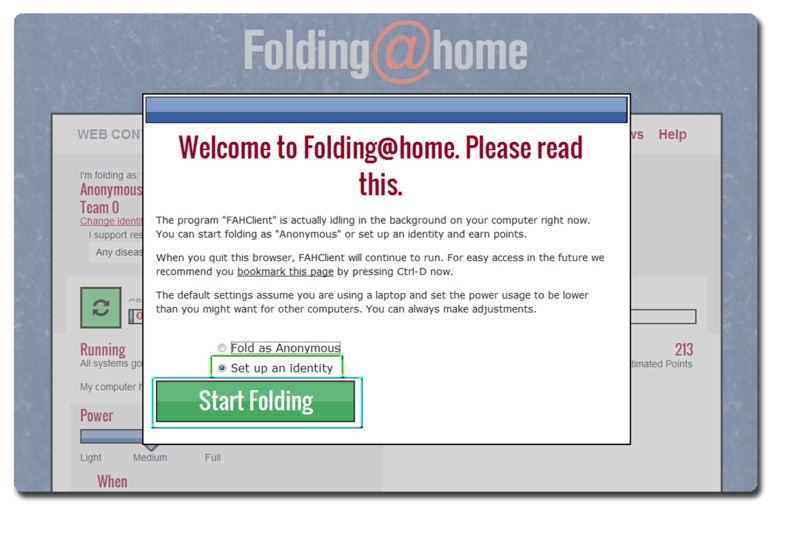 Note that simply closing your browser will not stop the folding. 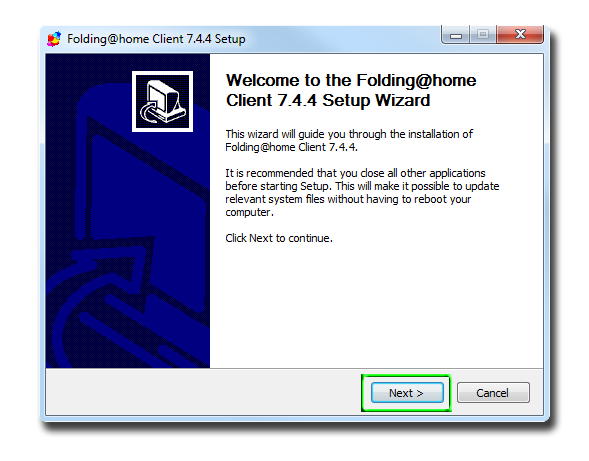 This application provides additional control over your folding, and allows you to make changes such as the number of CPU cores dedicated to folding. Right-click on items in the “Folding Slots” section to start/stop/finish jobs. “Pause” will pause the current job. “Finish” will finish the job, and not request a new one, until “Fold” is clicked again. After finishing, it will appear as paused. “On Idle”will set the slot to only run when your computer is idle (not being used). 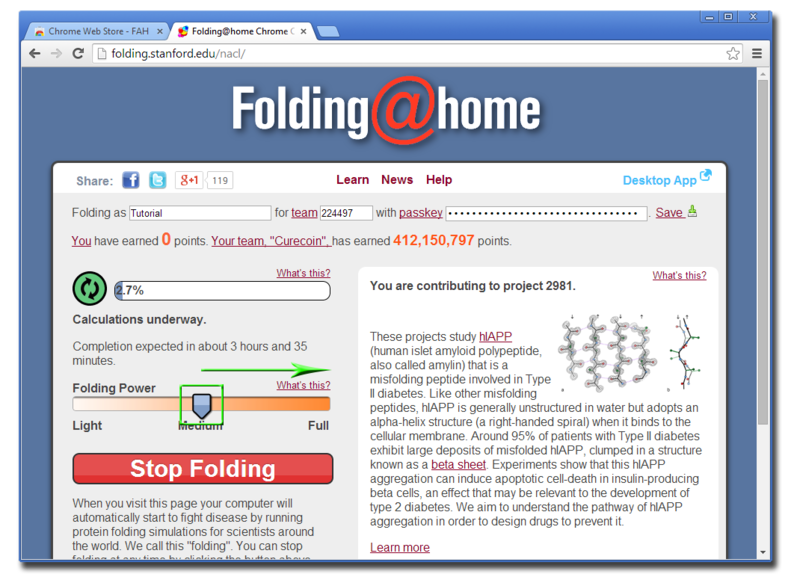 “View” will open the FAHViewer application to visualize your molecule(s) that are folding. Please note that this visualization does take up CPU/GPU cycles to calculate, and will slow down folding when opened. After signing in, head over to https://chrome.google.com/webstore. Type “FAH” into the search box, and press Enter. 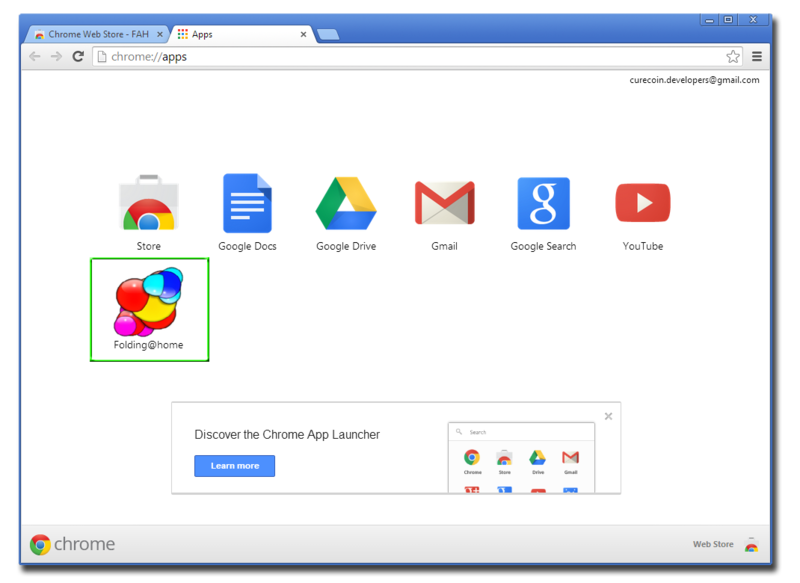 Click on the “+ FREE” button to install the Google [email protected] Chrome Extension. You will be prompted to confirm, click on “Add”. 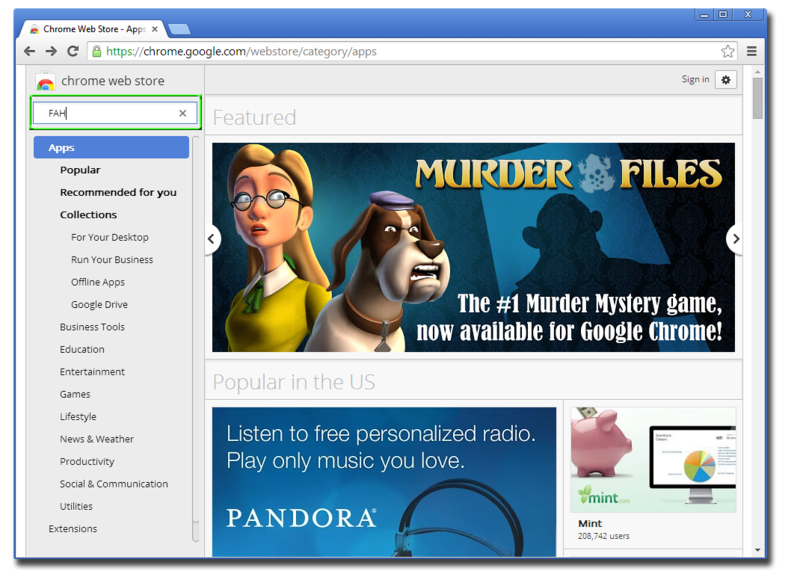 Chrome will likely open a new tab for you, showing all of your installed apps. 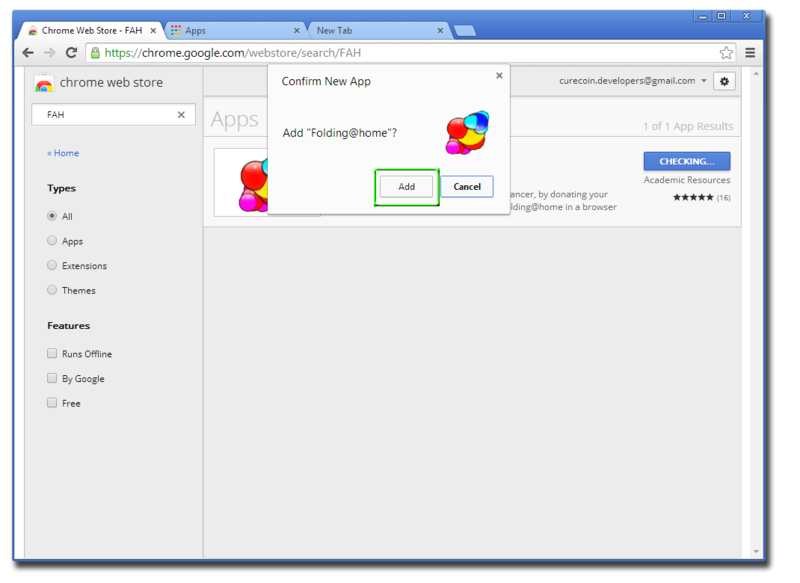 However, you can also create a new tab (Control + t), and go to chrome://apps to access your app home page. Click on “[email protected]”. Check your email, and double-check that the username is spelled (including capitalization) exactly as you want it. Copy the passkey from the email (highlight the entire passkey, which should be 32 characters long, and press Control + c). 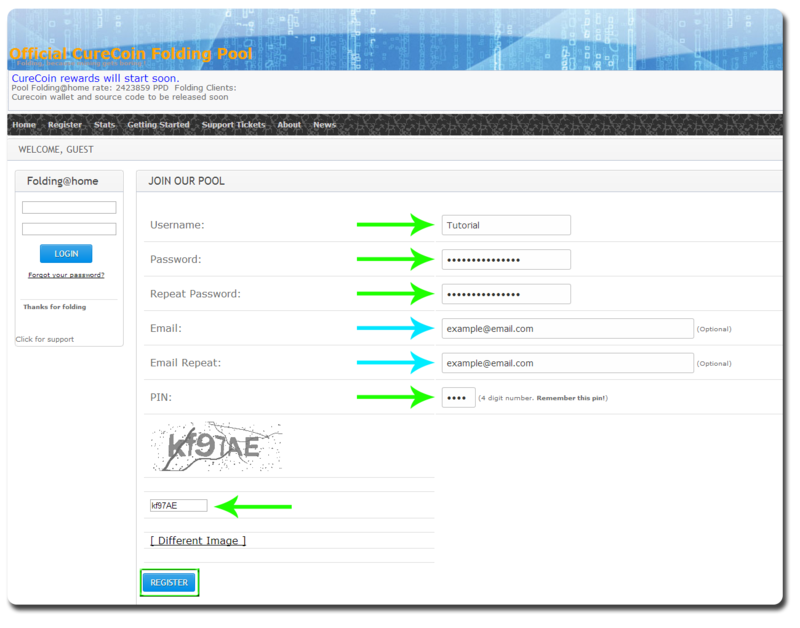 Then, navigate back to the [email protected] configuration page (the Chrome extension page) and fill out your username (exactly as shown in the email), “224497” for the team number, and then paste your passkey into the passkey box. Click “Save”. Now you are folding for Team Curecoin! Finally, to increase your folding speed, drag the slider under “Folding Power” from “Medium” to “Full”. If you want to use your computer and it is being laggy, consider sliding this back to “Medium” or even “Light”. 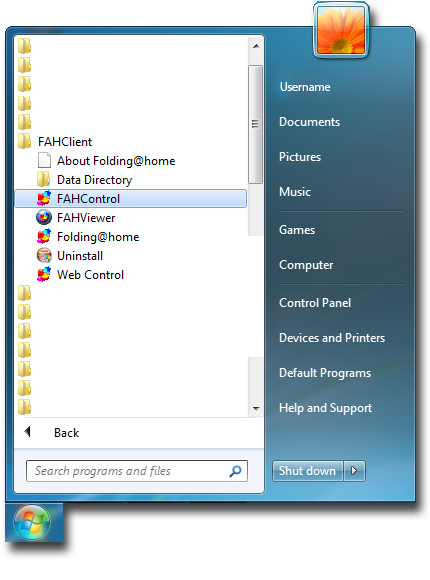 If you want to a processing-intensive task such as gaming, video editing/rendering, etc., then you can click the “Stop Folding” button. Unlike the normal web control, the Chrome extension WILL stop folding if you close the [email protected] tab. Clicking on “Stop Folding” will allow you to pause your folding WUs (Work Units). Then fill out the form, making sure to keep your username identical (including capitalization) to that setup in your folding client. If unsure, check the passkey email. Then, login to the pool! Within 48 hours of completing your first workunit, you will see Curecoins accumulating in your account! While patiently waiting, take a look through some other Knowledge Base articles below to learn more, or drop by the Chat or Forums to say “Hello” to other CureCoin folders. You may have to wait a few hours for your PPD to normalize. Sometimes the PPD will not be able to report accuratly until close to the end of a word unit. Also, you will not see your stats on [email protected] until you complete a WU, and you will not receive points on the folding pool until after Stanford has recorded your WU and our update system has run. It then divides each user’s 24-hour points by the total to get their percent contribution. This percent contribution is then multiplied by the total payout for the day (3744 CURE as of 05/10/2018) and that amount is added to the account. As a result, it is possible that you will not get any Curecoins until 48 hours after you submit a work unit. Tweet about your good deed and help spread the word!